Alex and Ani Bridal Collection is Here! 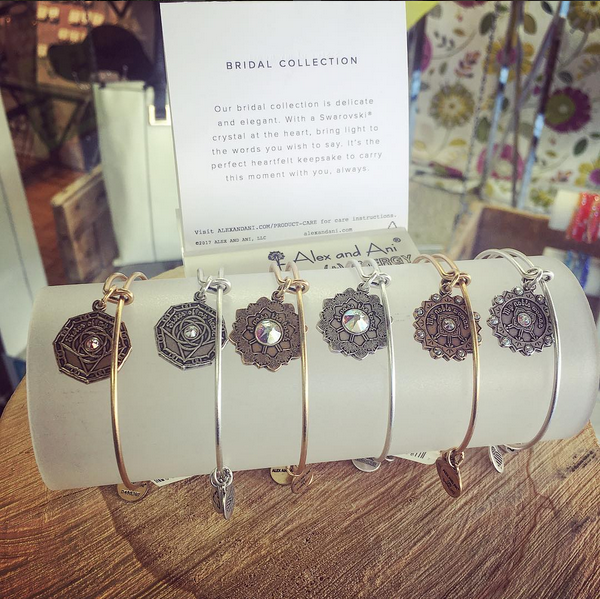 Alex and Ani has the perfect gifts for your maid of honour, mother of the bride, and bridesmaids! Alex and Ani has upped their game again by designing adorable bracelets perfect for your wedding party. The Mother of the Bride bracelet reads: "I pass the torch"
The Bridesmaid bracelet reads: "Sister of my Heart"